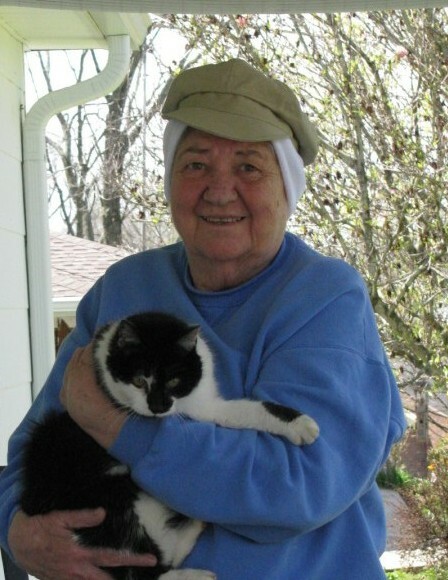 Betty Sue Elder Jennings, age 84, of Woodbury passed away Wednesday, February 6, 2019 at Alive Hospice of Murfreesboro. She was a native of Coffee Co. Survivors include her children, Pennie Lee Jennings Long of Woodbury, Jerrie Sue Jennings (Jeffrey) Macintire of Clarksville, Sandra Jennings (J.R.) Morton of Murfreesboro, & Grady David Jennings of Woodbury; Grandchildren, Nathan Jennings, Shannon Morton Patterson, Scott (Abby) Macintire, Beth Macintire, & Amy Macintire; Great Grandchildren, Marcus, Leo, & Zane Macintire, & Presley Patterson. She was preceded in death by her parents, Jesse Thomas & Nell Lee DeBerry Elder; Husband, Grady Houston Jennings, Jr. & Siblings, Wilma Elder, Edward Elder, Thomas Elder, & Earl Elder. Sue was a member of the church of Christ and was retired from the United States Postal Service. If you knew Sue, you knew she loved to play Rook. And most Saturday nights, you would find her with the Cannon County Rook Club, where she was a founding member. Funeral Services will be 11 AM Saturday, February 9, 2019 in the Chapel of Woodbury Funeral Home with Bro. Herb Alsup officiating. Interment will follow at Shady Grove Cemetery (Coffee Co.). Visitation with the family will be from 4 to 8 PM Friday, February 8, 2019 at the funeral home.